“Is anybody even listening?” So said the powers-that- be at CKZN. To find out, the relay was (temporarily) shut down. You, too, may have noticed that the CBC Radio 1 relay through CKZN on 6,160 kHz has been off air for several days. I’m traveling in Canada this summer, and noticed that CKZN has been completely silent lately, whereas earlier this month their1 KW signal was actually penetrating the RFI here where I’m staying in Québec. [T]he CBC has apparently switched off the CKZN shortwave transmitter on purpose — to see who notices that it’s missing, it appears — much like Radio Australia did just before shutting down its shortwave service. I know I would miss them — they frankly have been an enjoyable companion especially when I’m away from home and unable to connect to the Internet via WiFi. I’ve been advised that the system is being tested. I should have some more information soon I can pass along. Richard and Glenn have hit the nail on the head. The CBC is taking the same approach the ABC did prior to closing down their shortwave services; they’re gauging listener reactions by turning off the relay…and simply waiting for a response from those in the target region. 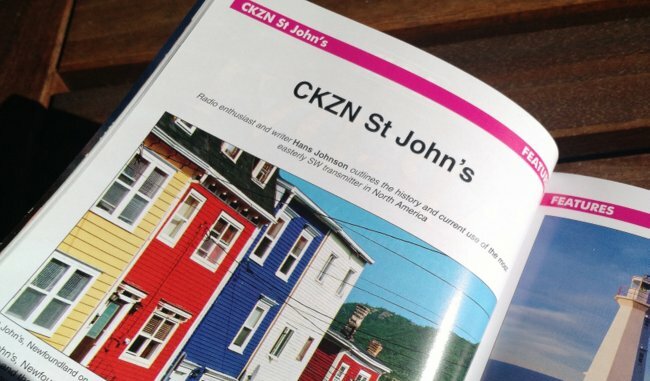 The WRTH featured CKZN in their 2017 issue. Some of you might recall that Hans Johnson, featured an article about CKZN in the 2017 Word Radio TV Handbook, noted that the CBC intended to not only continue the shortwave service directed at Labrador’s most remote areas, but was planning to replace their 1 kW Elcom Bauer transmitter in the coming years. Why, then, this sudden silence? I rather suspect the CBC are looking at the cost of this transmitter upgrade and considering simply shutting down the service instead of re-investing in it. A worrisome––and potentially short-sighted–– development. If you listen to CKZN––even if you’re not in their target broadcast footprint––consider contacting them to let the know you’re listening…to nothing. Certainly, if you’re a listener in Labrador, northern Québec, or indeed anywhere in Canada where you might benefit from this service, or in any rural area where radio is sometimes (or often) preferable to inadequate internet service, I’d strongly suggest you make your voice heard. The CBC have been clear about this point. Why is this important? 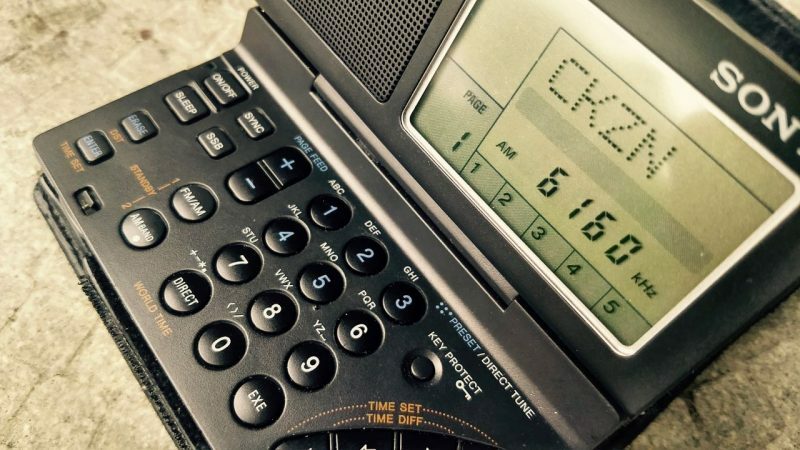 Because as most regular readers of this blog already know, losing a shortwave radio relay––a useful service that becomes especially vital in the event of an emergency––is cutting off a vital channel of communication. It is, metaphorically speaking, putting all one’s eggs in one (digital and/or FM) basket. Yet the Internet, which has now largely supplanted radio, is certainly not infallible, especially in rural regions; many rural Canadians, even those who don’t regularly listen to this station, may rely upon this very service in the event of a emergency such as a weather event or other crisis, and unquestionably during an interruption of digital service. However, this sort of event is not likely to take place during this testing period, giving the CBC a narrow view of the radio relay’s actual utility. Keep in mind, Saturday is Canada Day, and the country is celebrating their 150th…I wouldn’t expect to hear back until next week. Happy Canada Day, Canadian friends! And let’s keep listening…even for inexplicable silence on the radio dial. This entry was posted in Broadcasters, International Broadcasting, News, Shortwave Radio and tagged CBC Radio 1, CKZN, Labrador, Newfoundland on June 30, 2017 by Thomas.